Noelle Tellez with Nebbiolo grapes. Photo by Peter Weltman. Mexico and wine. These words often relate to stricter immigration and picker shortages for California winemakers, but there’s also a burgeoning wine scene on the Baja Peninsula. Mexican wine is nothing new, though. Casa Madero, in mainland Mexico’s Coahuila State, said to be the oldest winery on the continent, is celebrating its 420th birthday, while Baja’s winemaking heritage goes back more than a century, to the founding of Bodegas de Santo Tomás in 1888. While 150-plus wineries are located within two hours north of the San Ysidro border crossing—a gateway for roughly 63,000 people crossing back and forth every day—most Mexican wineries exist in relative obscurity for the American wine buyer and drinker. The well-paved Ruta del Vino highway in the Guadalupe Valley, which connects Tecate and Ensenada, runs from a hilly landscape strewn with granitic boulders in the north to sandy slopes near the sea. The region is hot and dry, not unlike Catalonia’s Priorat, with some of the same vineyard elevations, which can reach 2,500 feet. Salty Pacific Ocean breezes continuously blow northeast from the coastal town of Ensenada inland, snaking through the arid terrain. Southern French grapes as well as Iberian varieties are right at home, but the area also features robust plantings of Cabernet Sauvignon, Merlot, and even Nebbiolo. 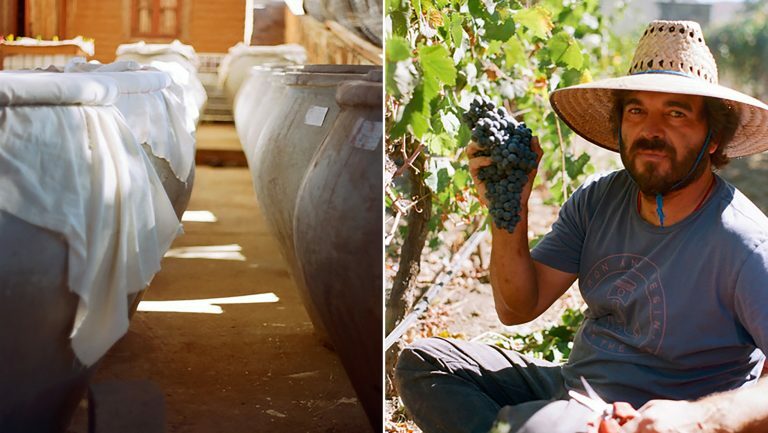 The winemaker Hugo D’Acosta, who was born in Mexico City, is often credited as the visionary who saw commercial potential in the formerly small-scale wine region. He trained in Bordeaux, owns four wineries in the Guadalupe Valley, and consults for other growers in the region. In 1997, D’Acosta released the first wines from his own estate, Casa de Piedra; his wines regularly fetch $100 per bottle for top cuvées. 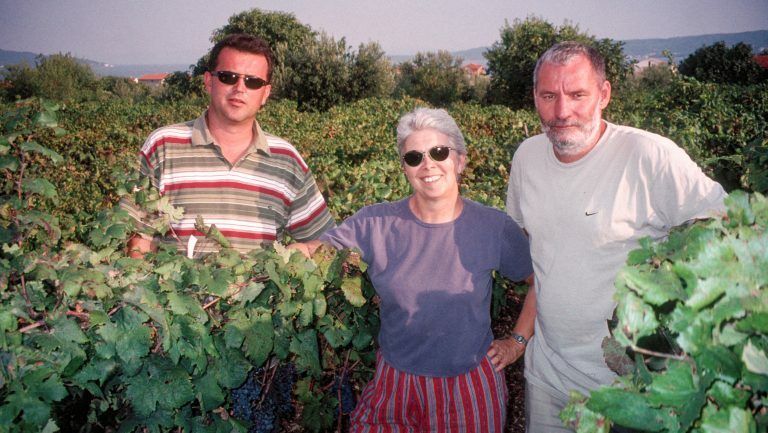 His vision and winemaking have set the tone that many have followed. “My vision was born of seeing extinct viticulture in a privileged region,” D’Acosta says, noting that his goal is to develop the area into a world-class wine region. Destemming Nebbiolo by hand at Bichi. Photo by Peter Weltman. In the winemaking shed, grapes are whole-cluster fermented in blue carboy bins, and then aged in neutral wood. Fining and filtering are eschewed and no sulfur is used at any time. It’s simple and rustic. The Casa Vieja Mission bottle is simply labeled, with a torn piece of masking tape marked with a Sharpie—thus making Toscana’s set of wines gems that for now are sold only as local table wine. But for every Casa Vieja, there are many more wineries pursuing an international audience—grand estates like the nine-year-old Las Nubes, which offers a Napa-like tasting experience on its 53-acre property, with plates of cheese and charcuterie to accompany the wines. Las Nubes’ portfolio includes the 2017 Jaak rosé (which retails for about $14), made from a blend of Grenache, Cariñena, and Zinfandel, and the ripe, herbal 2012 Cumulus, a blend of 50-plus-year-old Grenache, Cariñena, and Tempranillo that, at around $24, represents a very fair price for quality. 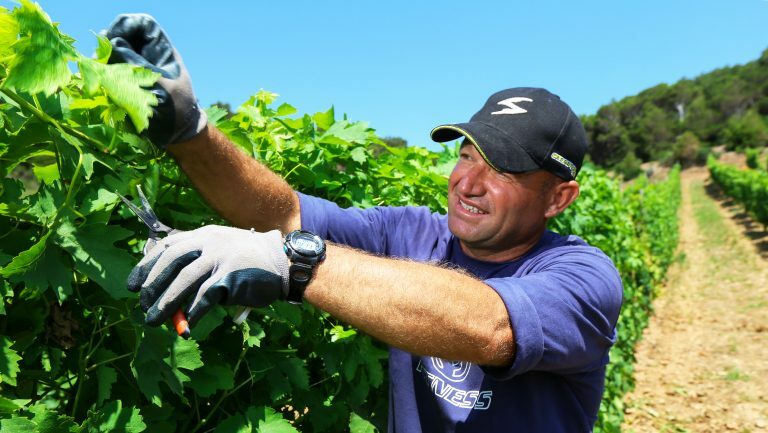 About 40 percent of Las Nubes’ overall production is sold at the estate to visiting North Americans, according to Victor Segura, partner, operations director, and winemaker at the estate. But Bichi Wines in particular—owned by brothers Noel and Jair Téllez—is sparking the most interest within the North American wine community. After Jair, an influential chef, and Noel, a former lawyer, inherited their father’s vineyards, a chance meeting in 2014 with Louis-Antoine Luyt, a Burgundian natural winemaker working in Chile, inspired them to convert to natural practices. They chose the name Bichi, a Sonoran term for “naked,” as an a tribute to their winemaking philosophy. 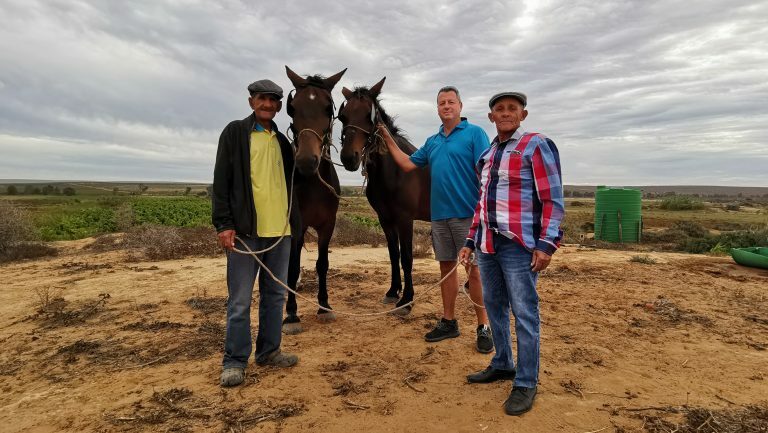 Along with younger plantings of Tempranillo, Cabernet, Nebbiolo, and a few other varieties, the brothers are making wines from one-hundred-plus-year-old ungrafted Mission and Rosa del Peru vines. Most of the native grape old-vine fruit is sourced from a neighbor’s San Lorenzo vineyard. In the winery, they use native yeasts, ferment in concrete tinaja shaped vessels, use little to no sulfur, and sometimes allow wines to mature under a veil of flor—yeast layers that blanket the top of their wines in the manner of the biological aging of sherry. Domestic wines are mainstays on lists of high-end Mexico City establishments, such as the 80-label selection at the St. Regis’s Diana Restaurant. 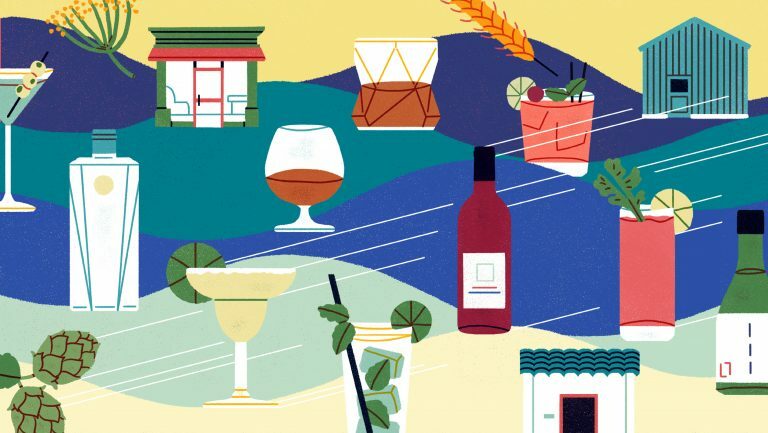 The overwhelming majority of the Mexican wines are from the Valle de Guadalupe—ranging in price from $43 to $220—though the bottles showcase international varieties and is absent of local grape cuvées. But cities close to the U.S.-Mexico border, like San Diego, have lately seen more Mexican wine entering their market. Katie Fawkes, the wine buyer for The Rose Wine Bar in San Diego, has seen her customers become more interested in Mexican wine over the past few years. “Now that the Valle is more navigable, people are braver about visiting,” she says, which has contributed to the buzz about Mexican wine. Wines from Mexico are featured at Flores, a hip Mexican eatery in San Francisco from the Back of House restaurant group. But Caterina Mirabelli, the company’s corporate wine director, focuses on value bottles. “The average consumer doesn’t expect a high-end status of wine coming from Mexico,” Mirabelli says. “Customers like to explore, but they don’t want to spend too much money while exploring. They need value.” She points to a Fiano blend by Casa Magoni as a strong performer, one she’s served as a $12 glass and a $48 bottle. Another notable San Francisco placement for the newer Mexican wines is the well-heeled Italian restaurant Tosca Cafe. Just over a year ago, the self-proclaimed Italophile wine director Ceri Smith couldn’t help but go all in with Bichi. “I hate Nebbiolo anywhere outside of Piemonte,” she says. “It’s like torturing the poor grape and sending it to live in Bulgaria or something. But Bichi’s had finesse and balance.” She gravitated to the shared link between Californian and Mexican viticulture, as created by the formation of the Spanish missions down the California and Baja coastline. On her 98 percent Italian wine list, she launched a separate menu titled Making Missionary Exciting Since 1898. Here she listed all five Bichi cuvées by the glass and bottle: La Gorda Moscato di Canelli 2013 ($15 a glass; $60 bottle), La Santa Rosa del Peru 2013 ($15 a glass; $60 bottle), Gran Listan Mission Old Vine 2013 ($15 a glass; $60 bottle), Tempranillo 2014 ($20 a glass; $80 bottle), and Nebbiolo-Listan Negra 2014 ($18 a glass; $72 bottle). Wilson’s colleague Max Leisure sees the appeal of Bichi’s wines yet recognizes inherent challenges in selling them. “The wines are qualitatively priced correctly relative to their value,” he says. But the starting retail price of $25 may pose a barrier to their discovery. Customers make internal calculations along the lines of, “What’s my impetus to buy this over my reliable $22 Crozes-Hermitage?” Leisure says. And yet, “Bichi’s Mistico Tempranillo blend competes with Northern Rhône bottles at the $30 price,” Leisure adds. 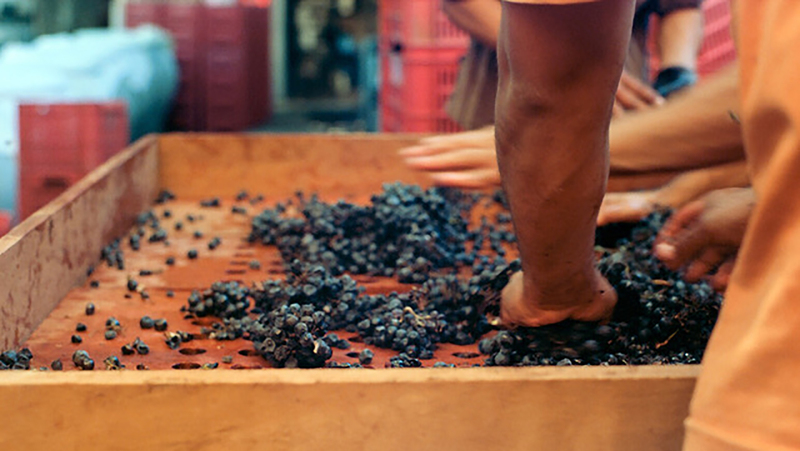 From a legal perspective, Mexico’s wine industry is in its infancy. The only regulated bottling figures are alcohol levels. No laws exist relating to geographic indications, quality classifications, or permitted varieties. However, in October, Mexico’s senate passed a bill stating that a bottle of wine labeled Hecho en México must contain grapes grown in Mexico (that bill still needs to pass in the house of representatives to become a law). As the industry matures, it will have to navigate choices about winemaking styles—will Mexican winemakers make higher-alcohol, more extracted wines, or will they push for fresher, lower-alcohol styles? 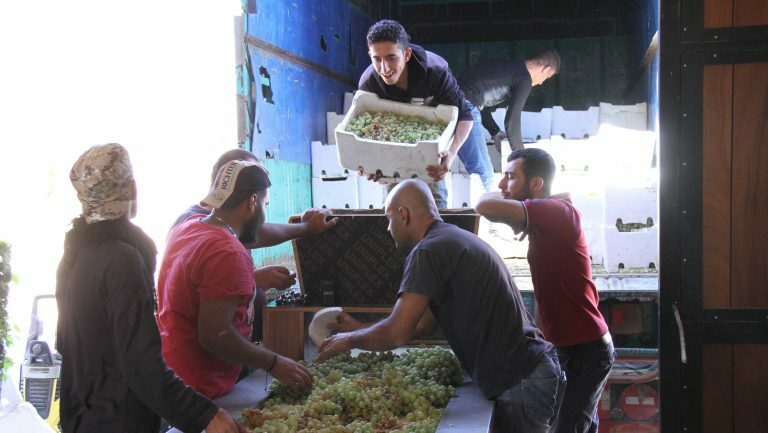 They may also grapple with the adoption of a signature grape variety. Countries like Argentina (with Malbec) and Chile (with Carménère) have shown notable success by doubling down on a flagship. One wonders: with sommeliers showing a growing interest in Mission wines from both Chile and Mexico, might that be a candidate for Mexico’s statement variety? Peter Weltman is a sommelier and entrepreneur based in San Francisco who explores native grapes from ancient sources. He writes for global food publications, gives speeches on wine activism, and creates immersive experiences about his movement, Borderless Wine. Find out where he’s reporting from next on Instagram.